“Your mommy will be someone`s alleged sidechick this year” – Actress, Rosy Meurer Outs Blogger Who Called Her An “Alleged Sidechick”. 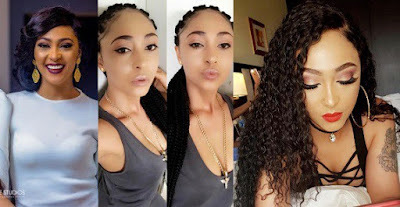 In just another episode of social media funk, this time between a Nigerian blogger and actress, Rosy Meurer, the latter has said a prayer for the former after reading a caption she made of her. The blogger on IG, dubbed the actress as an Alleged Sidechick to Tonto Dikeh‘s estranged husband and in response to this, Meurer turned her cheeks and said a prayer for the blogger.